We offer services (to businesses only) that provide employment credential verification. These past employment and other background checks are not available to individuals. 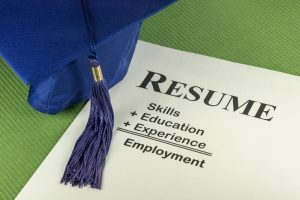 Credentials regarding education, past employment, and professional licenses provided by applicants are often misrepresented. These records can't be relied upon until they are verified. Diploma Mills.To help verify the veracity of a diploma or degree provided by an applicant you may want to make sure the diploma or degree came from an accredited institution. In that connection, the U.S Department Of Education provides a list of accredited schools and Universities. Sometimes previous employers will require that we send them a signed release before divulging previous employment facts. Education verified. This critical information is often the the most misrepresented on employment applications. We confirm the college or university attended and degree attained. School verification of records fees vary, and are usually administered by a third party that charges a fee for this service. We will always get your approval before incurring these fees. A signed release is required by all schools or verification services. We can verify most professional licenses for those businesses or professions that employ licensed people.